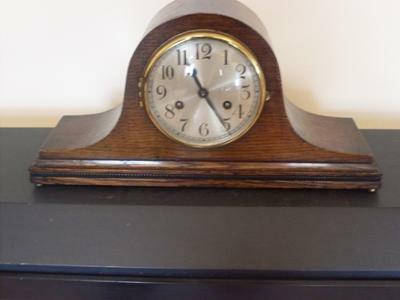 Hi, the clock I need identifying is a Napoleon hat striking clock. It is 9" high and 16" wide. There is no writing or id on the back, but there is a makers stamp of a clock being flanked by two standing tusked elephants.